This is a photo of an aurora occurring two and a half billion miles away. This being the original “Pale Blue Dot” photo, the dot in question being Earth as seen from 3.7 billion miles away. This was taken in 1990, with a camera made in 1977, bolted on to Voyager 1 and having been in cold soak for some 13 years. It is, to me, suggestive of that science fiction trope of sending space travellers off to other solar systems, and relativity working it so by the time the explorers land, the people they left behind had evolved FTL over generations and beaten them there. 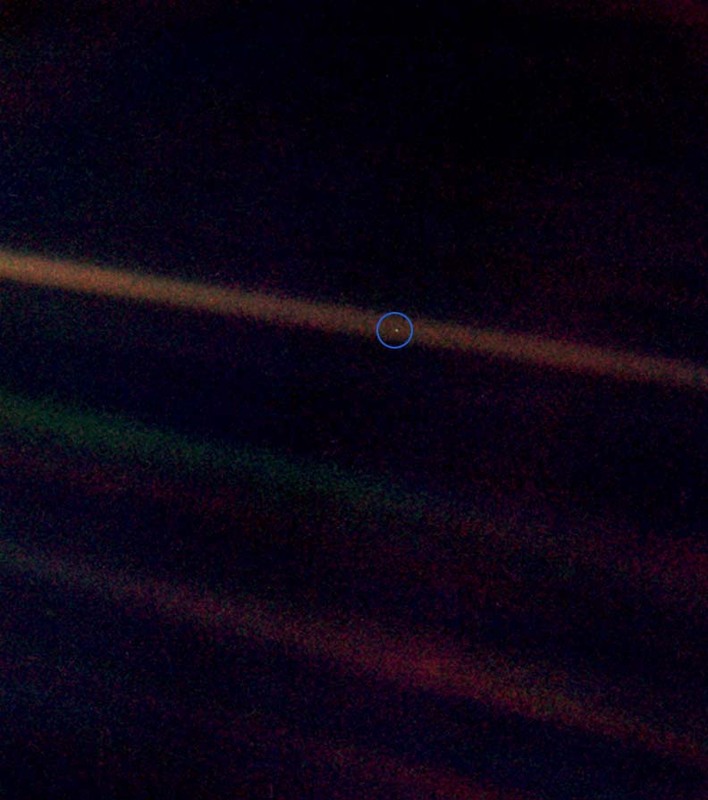 Voyager 1 sails off into the dark, having 22 years ago taken the last good photo of Earth it could, wherein our world was imaged in a single blue pixel. And now we’re taking photos of the Uranian Northern Lights. I wonder exactly how difficult it would be to have the Hubble take a photo of Voyager 1.